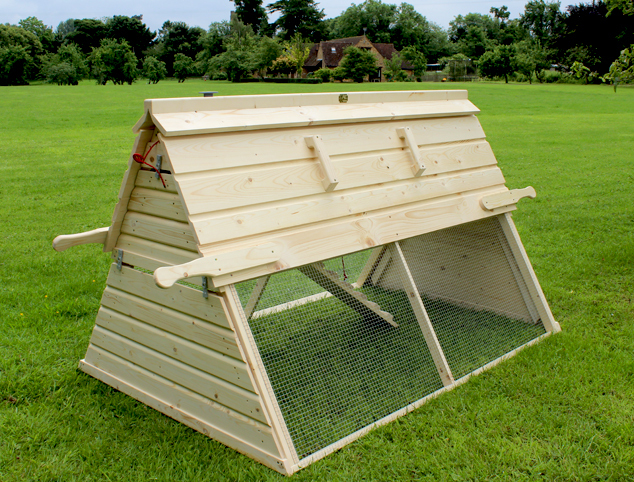 The Boughton is our best selling traditional chicken house and provides comfortable accommodation for up to six chickens. 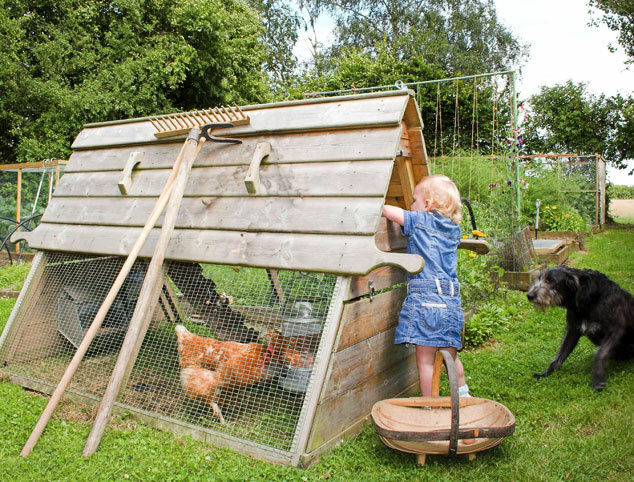 This wooden chicken coop is the ideal solution for the first time chicken keeper that wants to keep up to six hens. 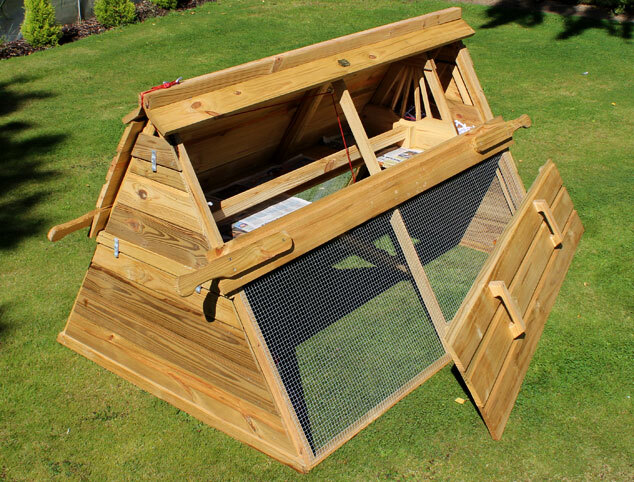 The Boughton chicken ark is specifically designed for bantams and medium-sized birds and this hen house makes chicken keeping easy. The Boughton Chicken Coop houses six medium hens. 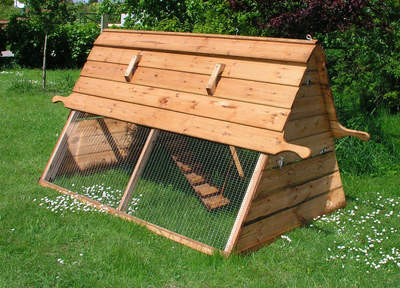 Its elegant design has stood the test of time and has become a chicken house design classic. 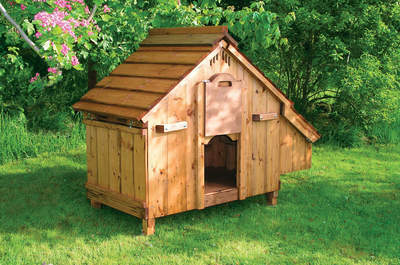 The Boughton is our best selling wooden chicken house and provides comfortable accommodation for up to six chickens. It is the ideal solution for the first time chicken keeper. 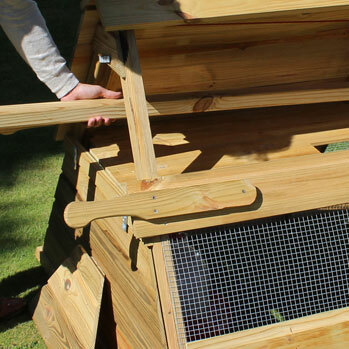 The Boughton hen house is specifically designed for bantams and medium sized birds, who will find the warm interior and private nest box very much to their liking. The Boughton chicken house has full length side doors which allow easy access to the inside of the house. The retractable ramp means you can get into all areas of the house when cleaning. The Boughton is easy to move around the garden with its stout carrying handles. 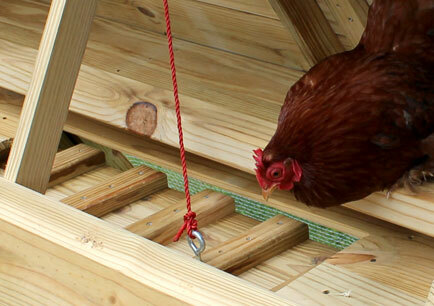 If you're looking to leave your hen house in place, or have limited space, the carry handles can be easily removed. 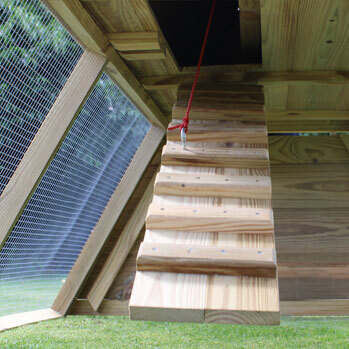 A sleeping area over the run gives hens more space to roam around below. The Boughton uses less space than other traditional arks because the sleeping area is located directly over the run. This design also means the chickens are protected from the sun and rain. The house has an easy to use, hinged ladder which may be drawn up from outside to secure the birds at night. Hinged ladder to shut hens upstairs at night. 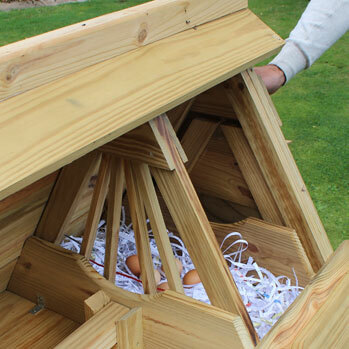 The nesting box is located at the end of the chicken ark and has an external egg collecting door. It is very easy for children to use – so they can run down in the morning to collect the eggs. You can access all areas of the run using the handy doors at each end. 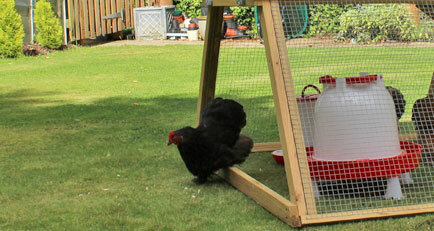 This makes it very easy to catch a chicken, let them out of the run, or top up the feeders and drinkers. Let chickens roam with the free range door! 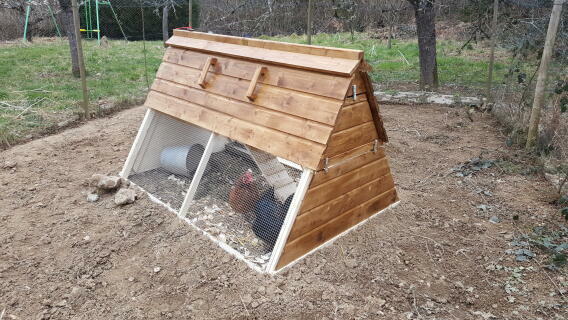 The solid, single-piece roosting bar provides a solid place for your chickens to perch while they sleep. 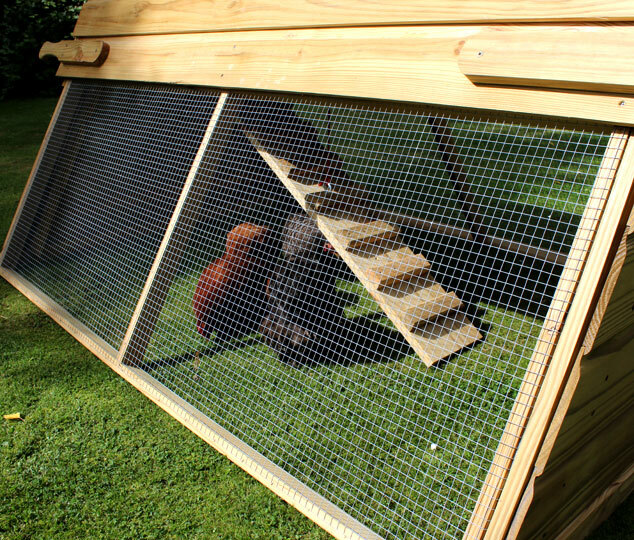 The Ramp that sits between the roosting area and the run can be easily retracted to keep your chickens warm and safe at night. Simply pull the rope on the outside of the house and up it comes! 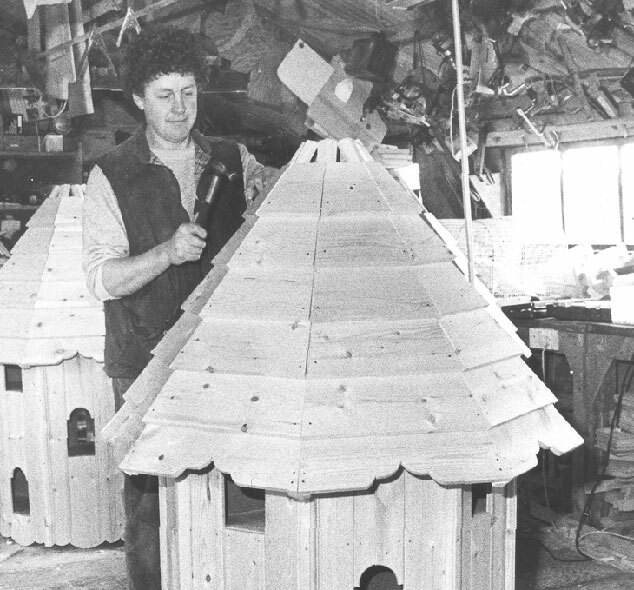 Forsham Cottage Arks have been making chicken arks since 1979. In 2011 Forsham became a part of Omlet. Over three decades, Forsham have learnt what makes both pets and their owners happy. Designed for ease of use and durability, Forsham products have been tried and tested by tens of thousands of happy customers. 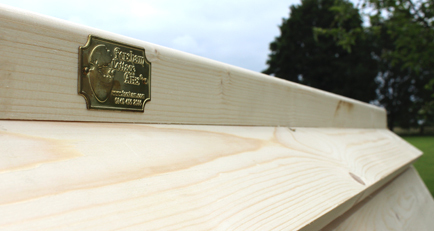 Unlike cheaper chicken houses that are made of low-grade softwood, we use only the best sustainably-farmed Slow Growing Spruce for our chicken houses. With a high strength to weight ratio, other uses of this versatile wood include rowing oars, piano sound boards and ladder rails. All the sections we use are planed all round so there are no scruffy faces or splinters, so the wood is ready for you to paint as soon as it arrives. 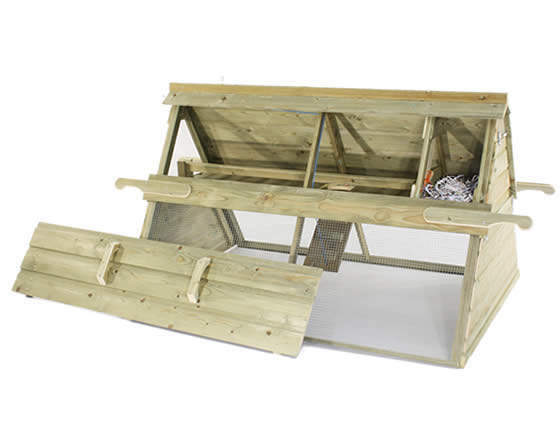 The Forsham Cottage Arks Boughton Chicken Ark is designed for up to six medium sized chickens. As they require additional head height in the nesting area, the Boughton is not recommended for larger breeds such as Buff Orpingtons or Cochins. The Boughton will arrive unpainted so you can apply your own finish. 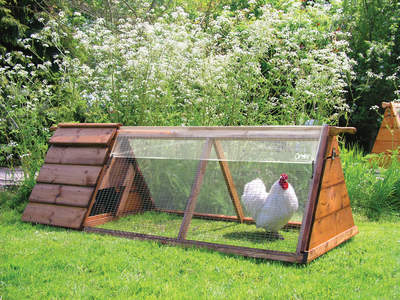 Choose the colour and appearance of your Boughton to suit your hens and your garden! Your Boughton will arrive untreated in it's natural form. It is important that you treat your Boughton before placing it outside and before using it with chickens. 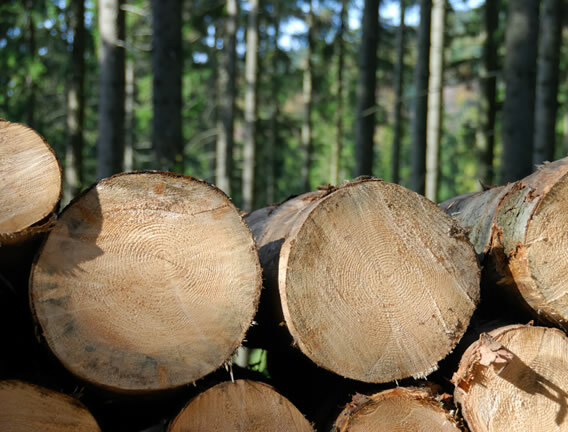 You should follow the wood treatment manufacturers guidelines for suitability. Please note that your Boughton Chicken Coop will need to be treated with a suitable preservative before use, such as Ronseal 5 Year Wood Stain . Please follow the instructions on the can for use. This is a profoundly good hen house. We tried to purchase a competitor first. It arrived and we sent it back. This Ark arrived and it has been a joy. Yes, the wood is not hard wood and yes there is an issue with painting around the mesh but the design is terrific and the quality is top notch. The design of this coop is excellent, second to none. The build quality has unfortunately fallen over the years however. 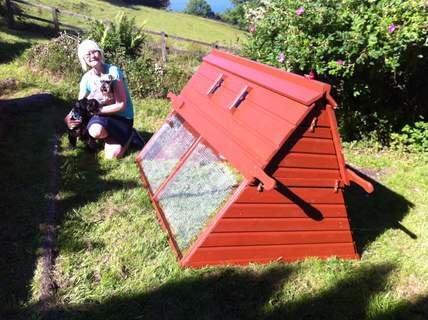 The coop I purchased new, will undoubtedly be outlived by the older coops that I've bought second hand. Symptomatic of most things nowadays sadly. An average of 5 stars is very misleading, using the 'mean' average would give a more accurate rating. 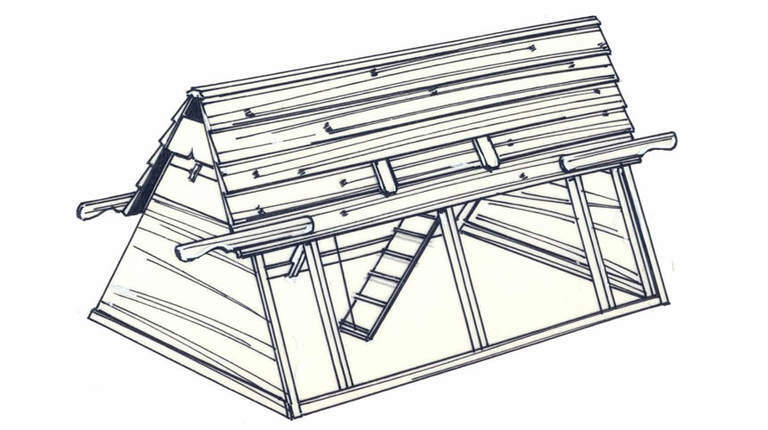 I bought the Boughton Chicken coop after spending several years researching different products. 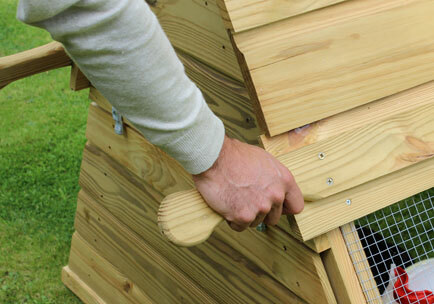 It's a great design which makes it easy to clean and look after the chickens. However, the wood is not pressure treated which meant it took about five days to paint. It was also really difficult to paint the wood behind the metal wire, and I'm not sure how long it will last without treating it again every couple of years. Although it's a great design I'm disappointed that the wood is not pressure treated and would have preferred spending more money on one that is. My fourth Boughton, will also be my last unless something changes. I nearly returned it, but eventually decided to give it a go. Not sure i made the right decision. It's an improved design, on an already very good design - for instance, both sides can be removed, and both ends of the run can be accessed from outside. 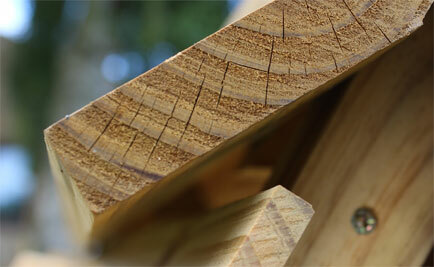 However, the wood is now untreated softwood. Full wood treatment takes three days before assembly, and some bits (eg wood behind metal grills) can't be properly treated. If you don't have space to spread it all out before assembly, you won't be able to treat the wood on all sides. A couple of bits didn't fit properly when assembled, attention to detail seemed less than before. My previous Boughtons lasted an average 7 years. I expect less of this. Finally, I was left with a vast amount of expanded polystyrene packaging. 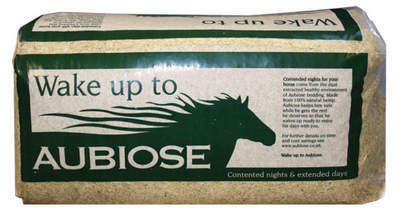 There is no reason to use this and in our area, as most, it is not recycled. A big downer. Omlet have taken a good design, improved it a little, but delivered an inferior product. Shame.